China is complicating Janet Yellen's life. Before U.S. investors went to bed on Monday night, there was growing confidence that the Federal Reserve chief was getting ready to announce the first interest rate hike in nearly a decade. Most bets were on a September move. But on Tuesday, China happened. The country threw a serious curve ball by unexpectedly devaluing its currency. The move suddenly muddied the outlook for the global economy, raising questions about the Fed's ability to raise rates next month. China's yuan has taken its biggest two-day tumble in decades and stock markets around the world are in turmoil. U.S. investors fear the weaker yuan will make goods sold by companies like Apple (AAPL) and Coach (COH) less attractive to Chinese consumers. It could also hurt already-weak demand for raw materials like iron ore and copper. Others say it will lower prices of Chinese imports, which adds deflationary pressures on the U.S. economy. 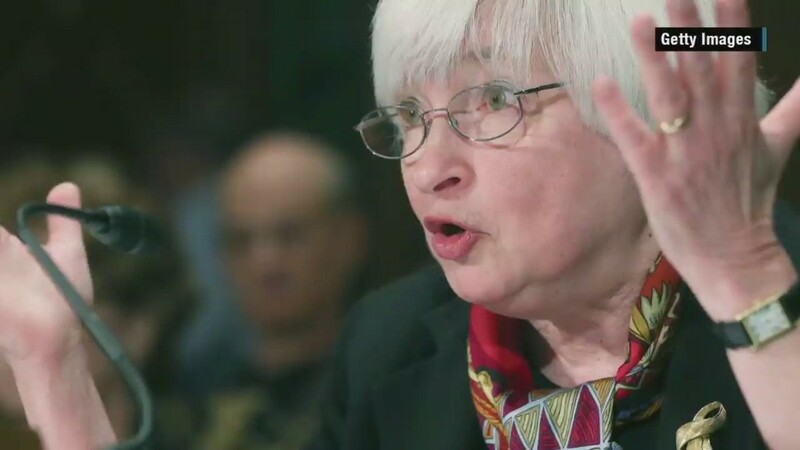 If the global stock market deteriorates further, it could cause Yellen and other Fed officials to put off an interest rate hike beyond September. It's unlikely the Fed wants to add fuel to the fire. Diane Swonk, chief economist at Mesirow Financial, said if the market turbulence continues, a Fed rate hike "will be destabilizing." Swonk said the Fed could hold off because it "can't afford to compound volatility too much. As much as they resist the term, they are the world's central bank." Wall Street is already placing bets that it won't happen. Investors believe there's a 39% chance of a September rate hike, according to CME Group's FedWatch, which measures futures prices. That's down significantly from 56% just last week. It could explain why the U.S. dollar is falling against rivals. The popular bet in favor of the dollar is "getting wrecked," said Michael Block, chief market strategist at Rhino Trading Partners. He pointed to diminished expectations for higher interest rates. The greenback lost over 1% of its value on Wednesday against a basket of currencies. One of the major forces driving the dollar higher this year had been expectations the Fed would raise rates because usually investors flock to currencies with higher interest rates. Not everyone believes that a September rate hike is off the table -- despite the turmoil. "I'd stick with September but recent global developments make it a closer call," former Fed vice chair Don Kohn told Potomac Research Group. Others believe concerns about China's currency devaluation on the U.S. outlook are overstated. Brett Ryan, a Deutsche Bank economist, sees virtually no impact to U.S. growth or inflation -- even if the yuan falls by 10%. "Arguably, if China is taking steps to stabilize growth, this would be a positive for the global economy," Ryan said. Can Fed afford to wait for a perfect time? China is just the latest headache facing Fed officials. But whether it's China, Greece or some other global phenomenon, some argue that there will always be an excuse for the Fed to keep rates extremely low. There may never be a truly perfect time to raise rates. Eventually rates will have to go higher. Otherwise the Fed will be without its primary tool -- interest rate cuts -- to deal with the next crisis. 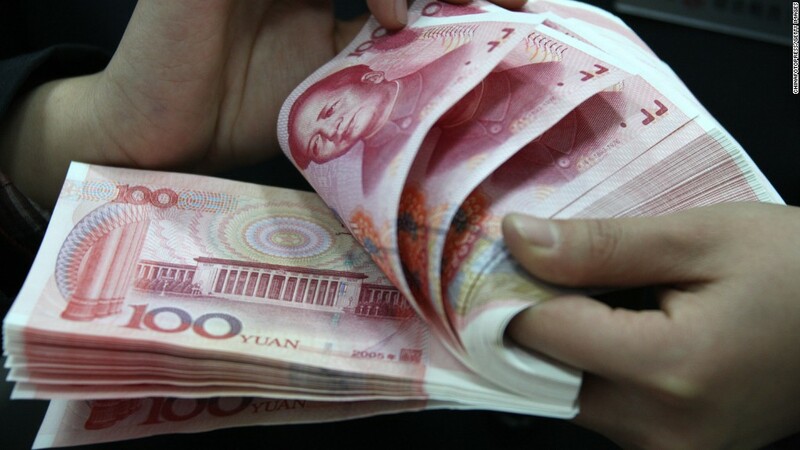 The Fed should be "embarrassed if they don't follow through just because they yuan fell a few percentage points vs. the U.S. dollar," wrote Peter Boockvar, chief market analyst at The Lindsey Group. "No more excuses PLEASE!" --CNNMoney's Patrick Gillespie contributed to this report.